Winter Escape to the Ouachitas gift guides provides local shopping and dining guides. RE/MAX of Hot Springs Village reports upward home sales trends. 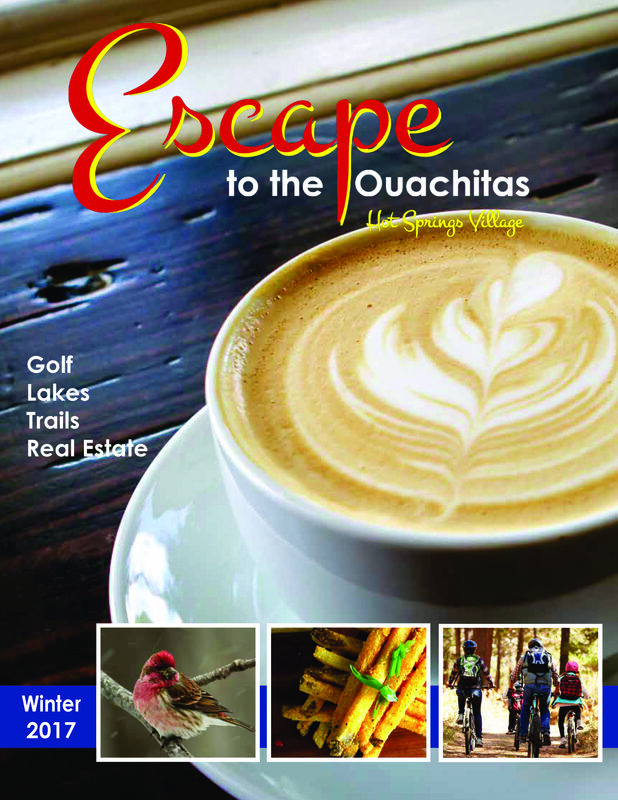 The holiday season is just around the corner and RE/MAX of Hot Springs Village has provided a shopping guide in the Winter edition of Escape to the Ouachitas to help you to shop local while beating the rush and completing your Christmas list. The Winter issue, which is available throughout Hot Springs Village and Hot Springs, also features dining guides, features on area restaurants, local attractions and information about Hot Spring Village’s natural beauty and amenities. Share digital versions of the current and past magazines at http://www.EscapeMagazineAR.com. Home sales in Hot Springs Village have continued to trend upward while homes remain on the market for shorter periods of time, according to recent statistics reported by CARMLS. From January thru September 2017, RE/MAX agents sold 412 homes and those homes remained on the market for an average of 3 months. In the same period in 2016, 406 homes were sold and remained on the market for 3.3 months. In addition, the average homes sales price has risen about $20,000 from last year at this time. RE/MAX of Hot Springs Village continues to lead out in the overall number of homes sold with an average of 20 homes sold by RE/MAX agents as opposed to only 8 sold by non-RE/MAX agents. For the latest statistics, visit RE/MAX online at GoHotSpringsVillage.com. Put Wanda Bonner’s 15 years of experience and in-depth knowledge of Hot Springs Village real estate to work for you. “I’m determined to provide a great experience for my clients selling or purchase a home,” says Bonner, whose persistence has resulted in many awards, as well as happy customers. Whether you are in the market to buy or need to sell your home, give Wanda Bonner a call today. Arkansas native Alissa Nead has been a Realtor® for over 29 years. She’s ready to help you find the home you need to live your passion in Hot Springs Village. “Whether you golf, boat, fish, kayak, play tennis or pickleball, swim, hike, bike, work out, shop or dine, North America’s largest gated community offers something for everyone,” says Nead. Call her for all of your real estate needs. Voted the #1 Real Estate Agency by the Village Voice Reader’s Choice (2010, 2011, 2012, 2013, 2014, 2015, 2016 and 2017). RE/MAX of Hot Springs Village offers a large selection of real estate spread across 26,000+ acres of Ouachita Mountains priced from $100,000 to over $1 million. RE/MAX of HSV offers long-term rental properties, new construction, property lots and discovery vacation packages too with discounted golf, community tours, free area coupons and discounted lodging. Learn more: GoHotSpringsVillage.com.